Compact body allows for installation in tight areas. The housing is tapped for backside fastening. 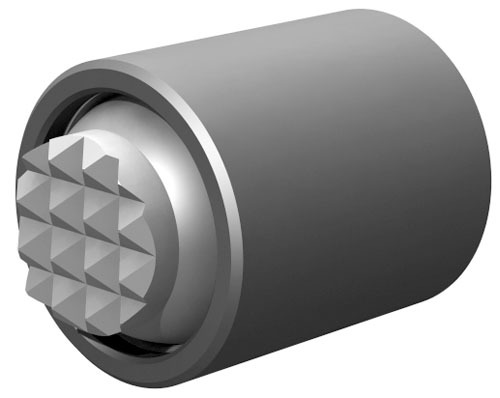 The replaceable serrated ball swivels to allow for better clamping on uneven surfaces. A Viton o-ring holds the ball in place while keeping contaminants out and providing smooth ball movement. The housing is made from alloy steel, heat treated to Rc 43/46 with black oxide finish. The replaceable ball is made from M-2 high speed steel heat treated to Rc 60/62. Replacement balls can be ordered separately. Other ball styles are available.